Sir Norman Bettison has resigned as chief constable of West Yorkshire Police, saying that an inquiry into his role after the Hillsborough tragedy was ‘a distraction’ to the force. In 1999, the Hillsborough victims’ families launched private prosecutions for manslaughter and misconduct in public office against two former police officers who had been in overall command at the match. 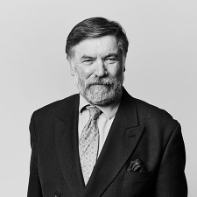 At the trial in 2000, superintendent Bernard Murray was represented by Simon Myerson QC and was acquitted. The jury could not reach a verdict on chief superintendent David Duckenfield. An application for a retrial was refused. Under the current investigation, advice is being sought from Nigel R Edwards on behalf of those who are the subject of that ongoing investigation. At the time of the Hillsborough disaster, Sir Norman was a South Yorkshire Police inspector who was actually attended the match to watch it, later taking part in the internal inquiry. Sir Norman has been due to retire but had faced encouragement for him to go early, with Margaret Aspinall, chairwoman of the Hillsborough Families Support Group, saying that, “I’m absolutely delighted that he’s gone but as far as I’m concerned he should have been sacked. I would like to know what payments and pensions he’s going to get. Any financial benefits should be frozen until the outcome of the investigation into the cover-up”. Sir Norman has been referred to the IPCC over allegations that he has provided misleading information following the disaster. A report by the Independent Hillsborough Panel revealed that 164 police statements made by South Yorkshire Police were altered; 116 statements had been changed to edit negative comments about the policing of the semi-final match. The report revealed that a cover-up had taken place to shift blame onto the victims of the disaster. It was also reported that a shocking 41 out of 96 individuals who died during the disaster could have been saved had they received treatment earlier. At the time of Sir Norman’s resignation, he said in a statement, “The police authority, and some of the candidates in the forthcoming PPC elections, have made it clear that they wish me to go sooner. Damian Green, the policing minister, said that it was of the upmost importance that the West Yorkshire Police force be able to get on with the job of policing, saying the following, “If the inevitable deep concerns surrounding all of this – which, clearly, would be very, very understandable – were getting in the way of doing that job, then it is clearly sensible to allow West Yorkshire Police to get on with their important work.”.